The module CCAD Product Data Management by RG Technologies is used to manage storage rights and releases of the developed models and related production orders. 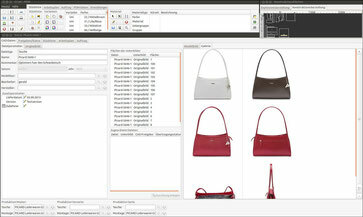 Businesses with several production sites syncronize them automatically with CCAD Product Data Management. In this module, all information on a model or model series that are generated in the course of the development process are collected and supplemented. CCAD Product Data Management is the central database of the model development and a treasure trove of knowledge. Experiences that are collected during the model development are stored and made available to the employees at all times. The processing of a model can start with CCAD Product Data Management by RG Technologies far before the actual technical design in CCAD Design. Even before the kick-off of a project, it is possible to create collections of ideas within a model framework plan for individual models or entire model series. These include not only the first parameters, which describe the basic properties of a model, the first sketches, photographs or other documents that are stored in the database. This extensive and detailed indicators assist designers and technical modellers as a guide for the technical preparation of the models for the later production. Releases accompany and control single working steps during the entire development process of a model. Thus, there are multiple levels of releases, ranging from the prototype stage to series maturity. The releases are of course adaptable for the individual modules and independent from each other. 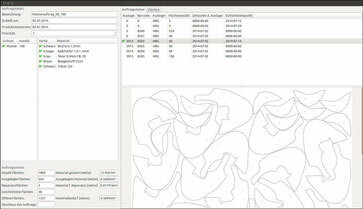 For example, production orders can only be cut when the release of CCAD Bill of Material and CCAD Design is available. Automatically running processes ensure that modules which are affected by updates and new releases are always up to date. Synchronization is possible across multiple locations. This point is in today's production environment, from a non-negligible and steadily growing importance. Many companies operate regardless of their size, the development and production departments in different locations. Orders will be sent to the particular factories, according to the released production status and fixed production location. This in turn depends on whether the sample production takes place in a different location than the series production. Logging of processes offers a complete tracking of development. The module CCAD Product Data Management provides the opportunity to identify problems easily and early that may arise in the development of a model. This makes it easy to avoid chains of errors in the design of similar models and shorten the production process significantly. Various statistics in the CCAD Product Data Management show in particular the efficiency of the cutting systems. The nestings of every user can be tracked. Time as well as material can be saved by early responding to errors. Especially in CCAD Product Data Management, the connections to the existing infrastructure of your company are very important. Contact us and we will work with you to define the interfaces and integrate the CCAD Product Data Management by RG Technologies optimal and with maximum profit in your company.